← JESSIE & CARLY — Adopted! 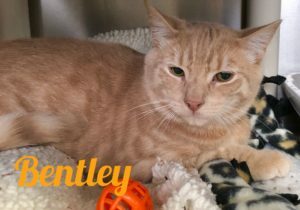 Bentley is a handsome buff tabby male, born on 7/6/18. He was trapped in a colony in Elmont. Because he is a friendly kitten, Last Hope rescued him. Bentley is ready for a loving forever home. Come meet this sweet boy and make him part of your family!